Each user account may manage more than one status page. Status pages are 100% autonomous and have separate billing subscriptions. Each status page is accessible using the drop-down selector within the dashboard. 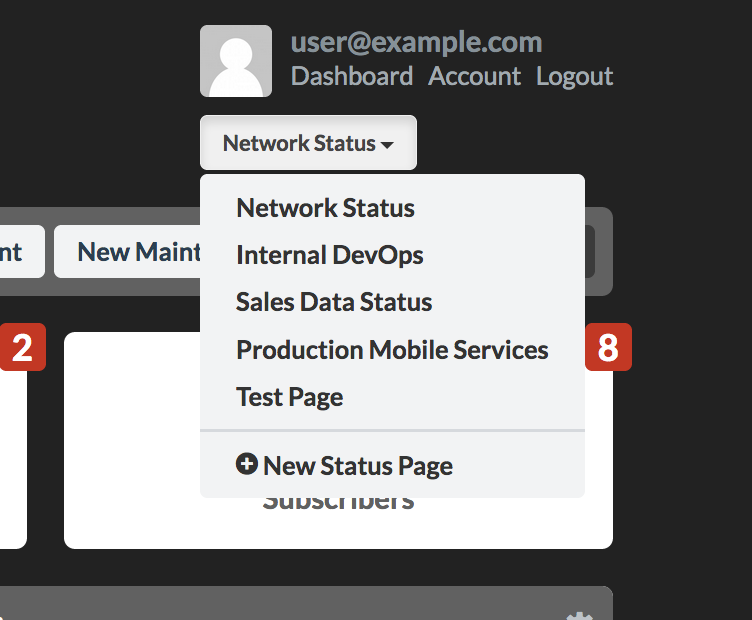 Status pages that you either own or are a team member of will be displayed in the menu.